A Police chief has advised motorists in the country to report any officer who asks them for money at checkpoints around Port Moresby and roads around the country. Assistant Police Commissioner Traffic Jerry Frank said demanding money from motorists was illegal and amounted to extortion. “Policemen are not to ask motorists for money, whether it be at a road block in NCD, or along the Hiritano or Magi highways, or anywhere in the country. It’s extortion,” Frank said. He was commenting on a video which went viral on social media showing a police officer asking an expatriate for money. The officer was apparently not aware that he was being covertly filmed. 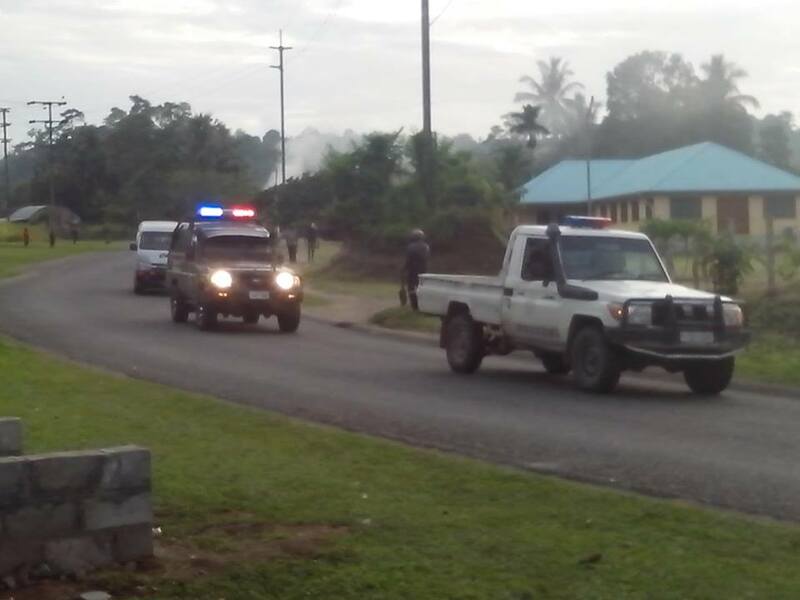 It happened during the festive season at a police checkpoint at Gordon in Port Moresby. Frank said it was tantamount to abuse of office, a breach of the traffic laws and police code of ethics. Frank said traffic officers and road safety officers were only allowed to charge and serve Traffic Infringement Notices to drivers and owners of defective vehicles. The drivers and owners are then required to pay their fines within seven days or be taken to court. “Apart from that, officers at roadblocks, whether from traffic or other units, are not allowed to ask for money from motorists,” he said. For Gerehu, PSC Fred Tundu can be called on 72918412, PSC Waigani Michai Yosman can be called on 73473321 and for Gordons, PSC Joseph Sale can be called on 71000672. For residents at Hohola, call 72148507 to speak to PSC Benjamin Kua, while PSC 6mile, Fred Bare can be called on 70253374, Boroko PSC Brian Kombe can be reached on 71934549. The airport PSC, Robert Wane can be reached on 72780163, Badili’s PSC, Tony Kavan’s number is 71710039, while town’s PSC, Sengi Laki can be reached on 73574194. Turi says that his Superintendent Operations Philip Kuluam can be reached on 71727825, NCD Central police commander Sylvester Kalaut can be called on 70648295 while the Met Supt says that he can be reached on 72010056.